composers of his day, appears in his own Barber of Seville with Petite Opera. 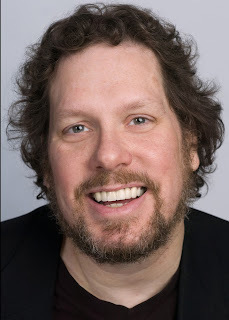 Petite Opera Executive Director, Susan Baushke, speaks with Gioacchino Rossini (played by Edward Kuffert), Barber of Seville’s composer, about creating his opera, and appearing in Petite Opera’s upcoming production. So, Maestro Rossini, why are you appearing in this Barber of Seville production now, at your advanced age. Oh, my! How old does that make you, Maestro? A gentleman does-uh not-uh discuss his age-uh in front of an audience-uh. I am-uh old-uh enough to know-uh what love-uh is all-uh about. So you-uh come-uh for love; you-uh stay-uh for the music, or vice-uh versa. I am-uh Rossini; I understand-uh both. I am-uh in-uh my own-uh show to reveal the parts of-uh the production that are-uh truly brilliant and-uh truly passionate. Every artist-uh folds in love-uh with his own-uh character. In this-uh case, some of-uh my creations are particularly exciting! You will-uh love them! What is the reason you are unveiling this particular version now, and in Park Ridge with Petite Opera? Because-uh it makes-uh perfect sense-uh. The perfect-uh setting for the 200th anniversary of my-uh magnificent opera buffo was-uh 2016. But-uh, in 2016, Hillary Clinton was-uh here, and I-uh wouldn’t want-uh to overshadow her bid-uh for presidential election. So, we-uh wait a year, and that was-uh perfecto, because then-uh it coincided with the-uh 10th anniversary of Petite Opera. Their-uh talents, my-uh show, it is-uh magnifico! What inspired you to create this piece about mistaken identities? Mistaken-uh identities are the perfect form-uh because love-uh is never straight-uh forward; it always reveals-uh a new and different person inside-uh the one you love. You find-uh so many layers, so much-uh depth. So I think-uh, why not-uh just put it-uh all in the opera, hmmm? People are-uh transformed by-uh love; you-uh see it on-uh the stage. In a costume-uh, a disguise-uh. The Count-uh, in order to-uh woo the woman he-uh loves, must-uh show another side of-uh himself, a side he-uh didn’t even-uh know existed. This is-uh more interesting, no? What do you think of your characters - your creations? This is the genius-uh of opera. Opera takes-uh archetypes, forms-uh we see in real-uh life. The nobleman-uh, the servant-uh, the barber-uh, the beautiful girl-uh. It makes them real-uh to us; it gives-uh them personality. They come-uh from the abstract and move-uh to the concrete. Opera takes-uh these imaginary characters and-uh brings them-uh into reality. People we cannot-uh only see, but can think-uh about and talk-uh to. Think of-uh Figaro… here-uh is a man who is not-uh only a barber, but-uh a master of-uh all arts. (He’s not-uh just rabbit, as many must believe, like, what you-uh call-uh him, Bugsy Rabbit?) Would you-uh want-uh to meet-uh a man like Figaro? Perhaps-uh not. But—would you-uh need-uh a man like Figaro? Agh, very-uh likely! This is why-uh opera is the greatest of all these-uh art forms. Because-uh the beauty of the music takes-uh you out of-uh yourself, and out into-uh the world that-uh these people can-uh inhabit. Straight-uh theatre cannot-uh do this; nor can-uh musicals. Television? Agh, whoooff! Forget-uh about it! But Opera? Opera fills-uh you with the-uh most-uh beautiful sense. It is-uh the voice-uh of God. So, Maestro, this production has chopped out your recitatives, and suddenly you appear in it. Tell us about that. Here’s-uh the thing. A recitative-uh is merely used to move-uh the story from-uh excitement to excitement. It is-uh just a tool to get-uh you there. So-uh naturally, I reserve-uh my greatest art for the excitement—which, of -uh course, is-uh me. So I-uh ask, why-uh should-uh you spend-uh your time with-uh recitatives, when I-uh can move-uh you from excitement to excitement much-uh better. And I get-uh to talk to-uh all you-uh lovely people! If there is-uh anything-uh you do not-uh understand, I stick-uh around afterwards by-uh the stage door, yes? Come-uh see me there! (wink). Ed, thank you for giving us some insight into what makes your characterization of Rossini tick, and letting him speak to us directly. Now, switching to your opinions as an actor, what do you find most appealing about creating the character of Rossini? After all, this is the first time he has appeared in his own opera! This character and approach reminds of the first piece I ever did: Our Town”, where I played the Stage Manager. The Stage Manager sets the stage, talks to the audience. I loved that… cutting through the boring bits and concisely sharing the story. When you see a work of art, what you remember are the highlights. I love to arrange the pieces into just highlights. In a way, that’s what this role of Rossini is. I love the idea that Rossini is the one in control, sets it up, moves all the chess pieces around. I enjoy being the one in the know. Since your character wasn’t in the original, how do you describe to your friends why Rossini is appearing in this opera? character creation, Figaro (Gabriel DiGennaro, right). that moves all the chess pieces around." I have had this discussion with people. It is an economy thing; an attempt to remove the intimidation, shear length added through recitatives. This is a way of making opera more approachable. This approach uses the parts of opera that people are more used to. Folks today are more used to musicals as an art form than opera, with dialogue moving the action. By removing the recitatives, we help them appreciate the work far more than if we gave them the full version. In their day, recitatives were viewed as linking mechanisms, and recitatives were not representative of composers’ best work. Opera is a very exciting art form; using dialogue in place of recitatives allows patrons to come to it with their modern sensibilities, and really enjoy it. It allows the audience to be fully present and fully enjoy the entire work. Tell us about your experience working with this cast? This cast is amazing. Everyone is friendly and real. The voices are superb. I am in awe of these voices, and Cody, the Music Director, is a genius. The cast members are all sweet, friendly and sing like angels. It is a joy to go to rehearsal and just hear them. It’s beautiful. It’s like going to a performance every time I come to rehearsal— it’s so much fun! What do think about this company? I am completely behind the mission of this company. For many potential patrons, opera seems to have a stigma, and comes with emotional and cultural baggage. 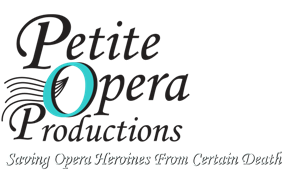 The idea that Petite Opera wants to blow all of that baggage away, get to the fun that made it popular in the first place, and get this out to the people of today is so commendable. We all need more art in our lives! How do you concisely describe what this show is about and why patrons should see it? The story line follows the classic archetype of mistaken identity, including the wise cracking sidekick who puts the plan all together, and the leading man disguising himself to woo the one he loves. In a way, this is where some of these archetypes started... the servant that is so sharp he can outsmart the nobility. You know the story, but when you watch it, and see it happen right in front of you, it’s so much fun. Why should patrons see this production? The singers are amazing; the music is gorgeous. Also, these are great actors who are acting through song, not just singers doing some movement. This production is a balance between the singing and the acting equally. Purchase tickets online via credit card at www.petiteopera.tix.com.